Latin American Guerillas Coming to the U.S.? A report from a prominent Spanish language news source Diario Las Americas indicates that Latin American communist agents may be operating in the United States for the purpose of organizing individuals inside the U.S. who see themselves as "enemies of the American empire." (“Alertaron presencia sandinista en Miami y L.A.," March 12, 2008). 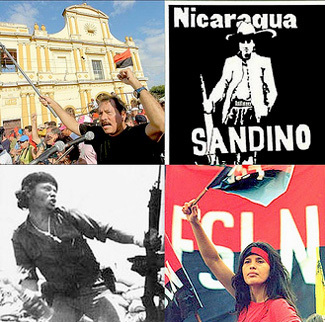 Members of the Sandinista National Liberation Front (Spanish acronym: FSLN), a Marxist revolutionary group that now governs the Central American nation of Nicaragua, are currently active in Miami, Florida and California, "especially" in Los Angeles, according to the report, which identifies the Nicaraguan consulate as the funding source for the Sandinistas in Florida. The Sandinistas identify themselves as "enemies of the empire," that is, the United States, and are engaged in promoting an anti-American "political program," according to statements quoted in Diario Las Americas (ibid.). Sandinistas took power in Nicaragua in 1979, after toppling the dictatorship of Anastasio Somoza. Sandinista leader Daniel Ortega allied his nation with the Soviet Union during the last years of the Cold War, and faced a counter-revolution by the anti-communist forces known as the "Contras." The administration of Ronald Reagan sought to support Contra activity, and, as the Soviet Union collapsed, Ortega and his Sandinistas lost power after multi-party elections were held in 1990. The Sandinistas came back to power in 2006 with Ortega as president, undoing Reagan's efforts in Central America. During ceremonies commemorating the 28th anniversary of the Sandinista victory over the Somoza regime, Ortega emphasized his commitment to the "unity of peoples and the struggle" against what he termed "blood-soaked" capitalism. During his speech, Ortega invoked the names of communist icon Fidel Castro of Cuba, the sometimes terror sponsor Muammar Gadafi of Libya, and Hugo Chavez, the neo-Marxist president of oil rich Venezuela, who was present for the anniversary ceremonies. Chavez referred to Ortega as "brother," spoke of a "union" between Nicaragua and Venezuela, and urged those attending the ceremonies to take the "flame of the Bolivarian liberation." The neo-Marxist ideology of the Chavez regime is termed "Bolivarian," or "21st century Socialism." Chavez is attempting to combine his brand of Communism with the memory of 19th-century South American liberator, Simon Bolivar, who sparked revolutions that removed much of the continent from Spanish colonial rule. Chavez targets his "Bolivarian revolution" at the United States, which he refers to as "the Empire." Chavez has changed the name of his nation from Venezuela to the Bolivarian Republic of Venezuela. Nicaragua is part of Chavez's web of alliances which includes Bolivia, Ecuador, Cuba, and various guerrilla groups in Latin America, especially the Armed Forces of Colombia (Spanish acronym: FARC). The FARC has conducted a four-decade plus war against the government of Colombia which has cost tens of thousands of lives. The FARC has political contacts in Latin America and Europe, and is known to have bases in Ecuador and Venezuela. A recent raid on a FARC base in Ecuador has yielded computer files indicating FARC’s close cooperation with top political figures in Ecuador and Venezuela. The FARC is particularly loyal to Chavez, and has promised to come to his aid should his regime be attacked by the United States. The FARC rebel group has defined itself as a "Bolivarian state." Because Venezuela is one of the world's leading oil producers, the Chavez regime is able to purchase sophisticated arms, build a telecommunications system rivaling those in the U.S. and Europe, and provide generous support to Marxist political parties and revolutionary groups across the region. The Chavez regime's weapons tend to come from Russia, and telecommunications technology from China. 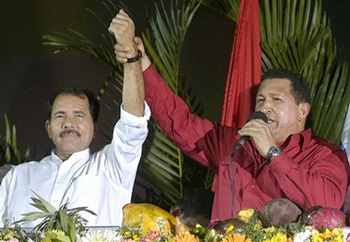 With the support of Moscow and Beijing, Chavez becomes more than just another aspiring despot. The "Bolivarian" alliance has money and powerful friends to supply its needs. Nicaragua is part of this powerful alliance, and its terrorist agents in the United States are carrying the Communist Sandinista message with them. The U.S. counterintelligence community has already discovered traitors operating either alone or in groups. FBI agents uncovered a sophisticated Cuban intelligence operation, called the Wasp Network, in 1998. The Wasp Network targeted enemies of Fidel Castro in the U.S., sought information on U.S. military personnel, and collected information on U.S. coastal security. 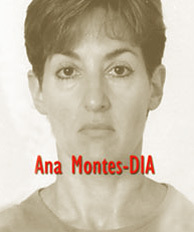 Senior analyst for the U.S. Defense Intelligence Agency, Ana Belen Montes, helped shape U.S. policy toward Cuba, and was at the same time an agent for Cuban intelligence for years. Counterintelligence sources know that there are others who threaten U.S. security, operating either alone or in networks. Sandinista operatives are apparently now active in U.S. cities, possibly among gang elements, who may be willing to become more than spies, but fighters for the "Bolivarian" revolution. Sergio Boffelli, a reporter for Diario Las Americas, stated he attempted to reach the Nicaraguan Consul, Luis Alberto Martinez, for comment, but had received no response by press time. The report on Sandinista activity was based upon remarks by Nora Sandigo and Alfonso Oviedo, two Nicaraguan anti-communist activists. America is still the greatest country on earth. Millions of people around the world dream of coming to United States for a chance to better their lives. Most of these succeed and are examples to others. No other nation is like the United States. The U.S. is not an empire, but an opportunity. Capitalism in the U.S. is not "bloody," but a ray of hope to a world oppressed by dictators, economic managers, and Marxist ideologues. To continue to offer hope to the people of the world, however, we must survive. And to survive, we must be alert to those who wish to destroy us.